Where there is a new system, there is a new Warriors game waiting in the wings. Tecmo Koei has gotten in early this time, ready for the 3DS' launch with Samurai Warriors Chronicles, yet another button-bashing foray into the world of medieval Japan. Maybe Tecmo Koei rushed in a little too early this time. 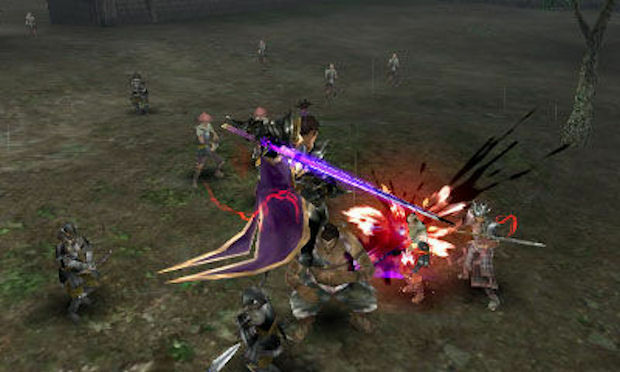 Samurai Warriors Chronicles dispenses with the usual character story modes in favor of something a little more personal. This time around, the likes of Nobunaga Oda and Yukimura Sanada are supporting characters to the real star of the show -- the player. After answering a short quiz, a profile is created for an all-new quasi-silent protagonist, supposed to represent the player as they journey through Sengoku-era Japan and make a name for themselves. Although later on you get to unlock new clothing and armor, there's no real customization, with the player only able to select a male or female character model. Thus begins a running theme with this title -- missed opportunities. 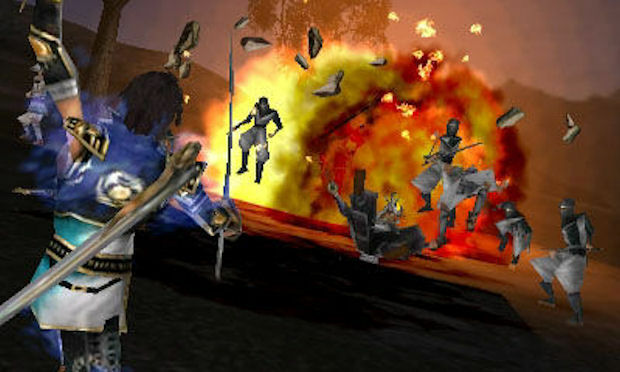 The game's story is rather forgettable, despite efforts made to have the player character interact and form bonds with the rest of the cast. Despite the bland narrative, the game forces you to watch it all, with reams of exposition that only become skippable after a stage has been completed or failed once. There's about three or so sequences of unskippable story between each battle, and it becomes quite frustrating when all you want to do is get into the action. On a portable format where battery life is an issue and people often expect instant gameplay action, it's puzzling that so much pointless dialog is forced on the player. A new addition to Chronicles is the use of four playable characters per stage. 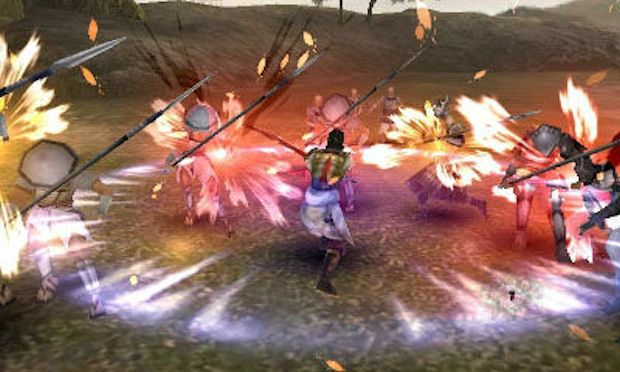 In addition to the main hero, three regular Samurai Warriors officers will be present on the map and can be controlled at any time by touching their portrait on the bottom screen. While it requires a little extra attention (and sometimes babysitting), being able to pick the closest officer to an objective rather than personally traipsing across a map makes for more efficient battles, and it's far easier to complete timed objectives or rescue allies that are close to defeat. You can also order your characters to attack enemies or cover ground while you're not directly controlling them, which is a welcome touch. 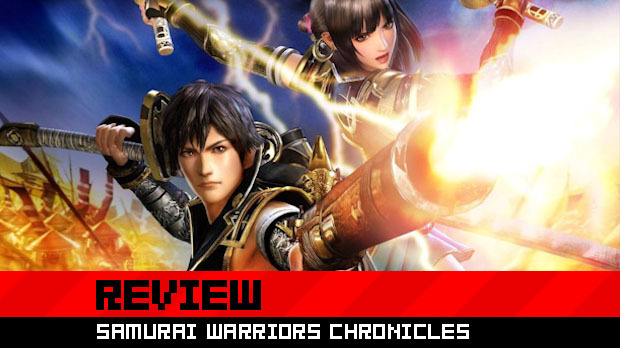 It's worth noting that Chronicles is also one of the trickier Warriors games out there. Enemy AI seems to be more aggressive, and your attacks are frequently broken by peons who'll stab you in the back. While the extra difficulty is welcome, it can get very frustrating when you're fighting multiple officers who won't let you get in a shot and take turns juggling your defenseless general. 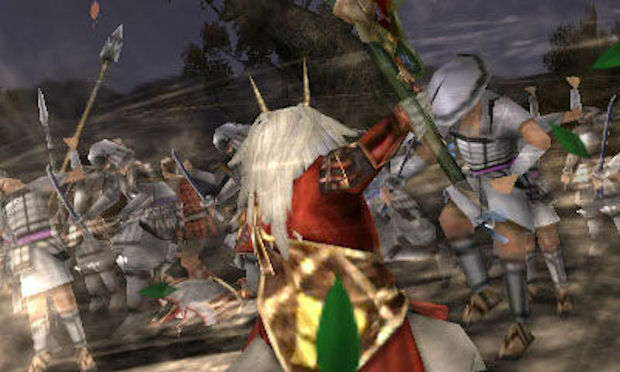 The challenge doesn't do much to hide the fact that battles, while still pretty good at delivering mindless fun, feel flat and flavorless when compared to the console titles, not to mention superior PSP offerings such as Warriors Orochi. Enemies aren't quite so prevalent, and the environments are more simplistic and bland than ever. Furthermore, the battle is frequently interrupted by objective notifications, which pause the game until you manually exit them. Gameplay is interrupted enough times to qualify as utterly absurd. There's a distinct lack of personality with Chronicles, and that's not helped by the fact that Tecmo Koei didn't bother to localize the voice acting, leaving us with a Japanese track. While some fans may welcome this, I don't need to sift through text while I'm trying to play the game. As such, a lot of character dialog goes unheard, and battle progress is hard to keep up with. It's a shame, because the game is fully voiced, and that could have been an impressive feat. Instead, it goes barely noticed. The lack of voice localization typifies the problem with Chronicles -- it feels rushed out of the gate in order to be a launch title. From the scaled-down battles to the half-assed localization, Chronicles could have done with a lot more effort put into it before hitting store shelves. The game's 3D effects work pretty well, although I get a sense that the graphics could have been better than they are. Character models look somewhat jaggy, and enemies regularly pop in and out of view, randomly becoming invisible even if quite nearby. Despite the simplistic visuals, the special moves look particularly flashy in 3D, and there are a number of really cool cutscenes that show off the 3DS' visual gimmickry superbly, even if they do make one feel a little cross-eyed sometimes. The game is still quite enjoyable, and fans of hack n' slash combat will find enough to keep them occupied, especially given the relatively disappointing selection of 3DS games available right now. However, only the most dedicated of Warriors fans will find the experience compelling enough to keep playing, and even then, there are better portable Warriors games to play. I can't say I dislike the title, because it's a decent enough waste of time. However, it feels like it did enough to get a passing grade, without going the distance and achieving something more substantial. 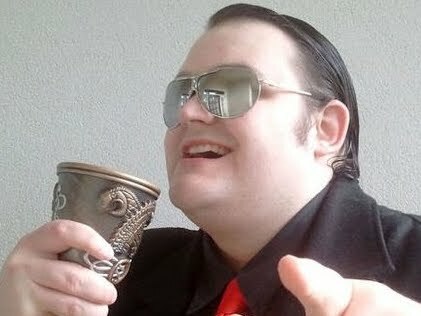 There's little doubt Omega Force will be back later with a deeper, more robust Warriors title on the 3DS. As far as this one goes, it feels more like a stopgap that's worth borrowing or renting, but can't justify a full cash price.